The International Civil Aviation Organization (ICAO) has recognized Crimea as part of Ukraine, denying information in the Russian mass media that the airspace was part of Russia. Just a day after the Russian press announced that the International Civil Aviation Organization (ICAO) had taken Russia's side in the dispute over Crimea's airspace, Ukrainian Infrastructure Minister Maksym Burbak said that he had received a letter from the ICAO denying information spread by Russian mass media about the negotiations with Russia on the transfer of airspace to its management. Burbak made the announcement at a press conference in Kiev. On July 7, Russian daily Kommersant, citing the Russian Transport Ministry, reported that the ICAO had recognized Crimea as part of Russia. "We received a letter from the ICAO, which denies all of the statements in the Russian mass media that any negotiations between ICAO and Russia on the Crimean airspace are being held. The ICAO again confirmed that Crimea is the territory of Ukraine, and only UkSATSE is to provide safety and control [services]," Burbak said. Moscow and Kiev have been unable to agree on which country Crimean airspace should belong to since Ukraine was forced to cede control of the peninsula. 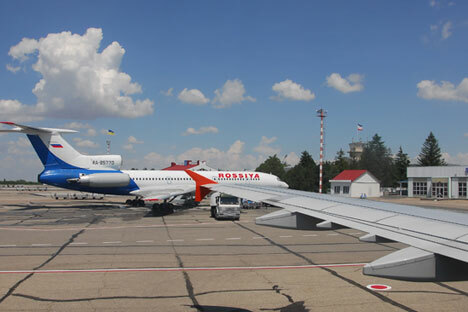 In mid-March 2014, Ukrainian air traffic control services closed the airports in Simferopol and Sevastopol as well as lower airspace over Crimea "until further notice". “The desire by the International Civil Aviation Organization to bring some clarity is, of course, a good sign, since at present only Russian airlines operate flights to the peninsula, while European air carriers are subjected to a ban by the European Organization for the Safety of Air Navigation," he said. The ban was a political decision, he adds, as a result of which the ordinary residents of Crimea are affected. Vasily Ukharsky says it is too early to be speaking of foreign airlines returning to Crimea and of the transport blockade of the peninsula being lifted, but if that does happen, it would be a considerable step towards bringing life on the peninsula back to normal. This text was updated at 8:40pm on July 8 with new information about the ICAO position on Crimean airspace.